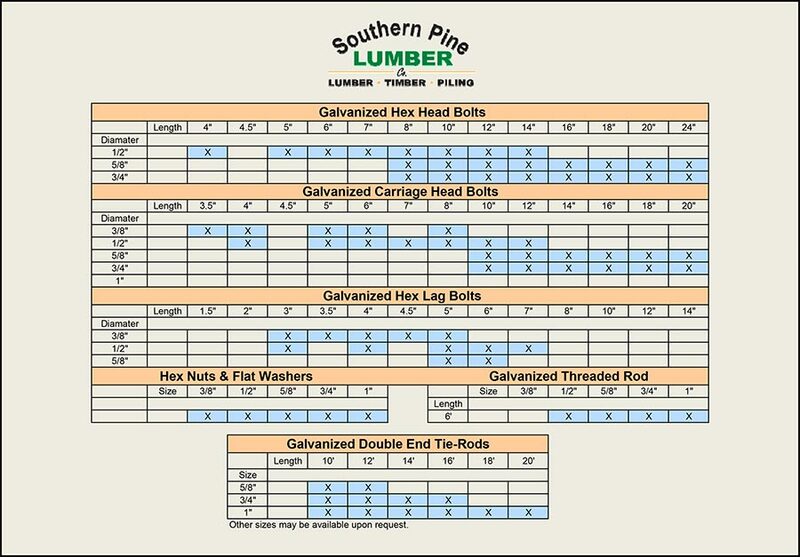 Southern Pine Lumber Company carries a variety of Galvanized Hardware items. Sizes are available from 3/8″ – 3/4″ diameters and in lengths from 2-1/2” to 36”. Special sizes and lengths are available on a custom order basis. 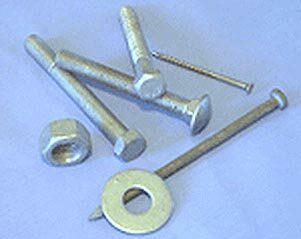 Hex lag bolts, carriage bolts, hex head bolts, nuts, washers, threaded rod, double end tie rods, square plate washers, eye nuts and much more are all available. Many of these items are in stock. Please use the chart below as a reference for in stock items.